After the conducted UTME which started on March 9- 17.After which all candidates are expecting the POST UTME which will surely hold in almost every institutions [Ignore every rumour that it has been cancelled]. Do not miss out-Share this article and stand a chance of winning free airtime. We believe almost all candidates has seen their UTME result.And those that have not should exercise patience.It may be due to technical issues or your result was withheld due to examination malpractice by the centre you wrote the exam.It would surely be available very soon. "KNOW YOUR INSTITUTION CUT OFF MARK AND FOR EACH COURSE"
Knowing your institution cut off mark will allow you to know whether you qualify for the institution post utme screening or not as no candidates will be admitted to any institution without meeting the requirements.It will just be a lost on your side and waste of time. Though no institution has released it cut off marks for the 2018/19 admission session.It is yet to be decided buh assuring you that it will be available very soon. Many have been asking if they will be admitted with marks below 180.The answer is "YES". Some universities slated their cut off mark at 120,150,160,180,190 and 200.
: All universities,polytechnics,college of education cut off mark. One more important thing is knowing the cut off for each course in your chosen institution.This will help you decide whether to change your course or not.If you don't qualify for your chosen course .It would be better to change it or else you might be given an unwanted course later when the admission starts. Wise up!! and do the right thing! Finally we urge every candidates to start preparing for the 2018 POST UTME screening exercise which will start very soon. 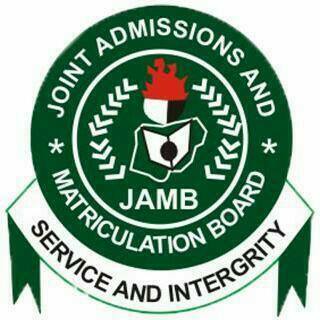 Scoring higher in JAMB doesn't qualify you for admission as post utme also determine whether you will be admitted. Woeful performance in post utme may disqualify you for admission. Wishing you Best of luck!! Leave a comment below as all questions will be attended to within immediately. Share this article if you find it helpful using the share buttons below! !